In the midst of Mark Zuckerberg’s visit to Congress and the ongoing headlines about Cambridge Analytica’s exploitation of Facebook data, there is one potential silver lining: the newly-announced “Social Data Initiative” that will be hosted by the Social Science Research Council. The Social Data Initiative is a partnership between the social media giant, academic researchers, and several large foundations. It promises to radically reshape the state of research on social media, civic engagement, and political participation. (And this is a research area that was desperately in need of an overhaul.) With that promise also comes some associated risk. The status quo that this Social Data Initiative will be replacing was…not great. To gain access to rich Facebook data, scholars had to partner with or be employed by the company itself. That meant (1) that Facebook was driving the research agenda, (2) that Facebook could effectively veto publication of findings that cast the company in a negative light, and (3) that academic review processes like the Institutional Review Board (IRB) could often be skirted or ignored entirely. 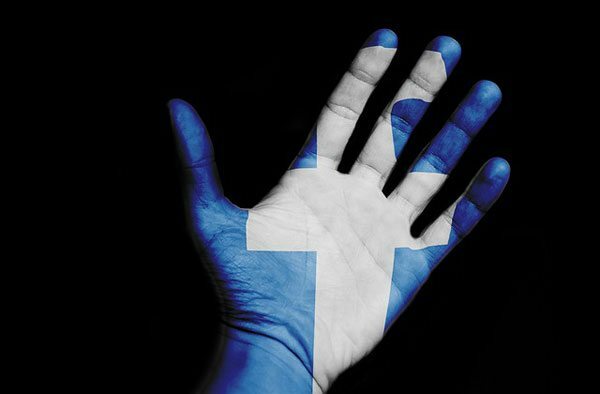 Any researcher who wanted to study Facebook without partnering with Facebook was left in a precarious position, either developing their own tools to scrape the Facebook API or relying on much smaller datasets to answer big questions. Facebook could change its terms-of-service on a whim, devastating social science research being conducted by non-partner academics. Many researchers worried that Facebook would respond to the Cambridge Analytica scandal by retreating even further inward, denying access to social media data to anyone who did not work directly for the company. That would leave the public even less well-informed about the actual impacts that social media is having on society. The Social Data Initiative is modeled off of an emerging framework for industry-academic collaboration. Nate Matias provides a helpful flowchart of what it will look like. Facebook’s input will be limited to providing data. It will no longer have a guiding hand in determining what research is conducted or published. A steering committee of social scientists, chaired by Gary King and Nate Persily, will develop the research agenda and distribute a call for proposals. All proposals will have to go through standard ethics review processes. A group of large foundations, including the Arnold Foundation, the Democracy Fund, the Hewlett Foundation, the Knight Foundation, the Koch Foundation, the Omidyar Network, and the Sloan Foundation, has committed to funding these proposals. This is a simple and elegant arrangement: Facebook provides the data, foundations provide the money, and a panel of academic experts shapes the research agenda and ensures the data won’t be abused and important findings won’t be silenced. How broad will the research agenda be? The question we are left to ponder is what will be left out of the research agenda. There is a risk that this Social Data Initiative being formed in the aftermath of headlines about “fake news” and voter manipulation will concentrate narrowly on the headline topics of the past twelve months. There are important questions to be asked about digital microtargeting, voter behavior, and political knowledge, to be sure. But Facebook has come to play such a major role in civic life that these are far from the only questions worth asking. Nonprofit leaders have struggled for the past decade to respond and adapt to Facebook’s growth. Much like their academic peers, leaders in the social sector have been left at the whim and mercy of Facebook’s ever-changing algorithms. Facebook is often the best way to reach existing members and potential supporters, but nonprofit leaders are frequently left to guess at simple questions like how many of their members actually see postings, or what impacts this social media platform has on civic participation. Nonprofits often talk about building a “ladder of engagement” whose lowest rungs begin in the digital space. But it is hard to build a sturdy ladder if those bottom steps are obscured from view and constantly changing. The Social Data Initiative might provide an avenue for civic associations to learn more about the changing landscape of public participation, or it might restrict our field of vision to the narrow topic of electoral politics. We should keep an eye on the steering committee and its research agenda as they develop. Public Safety Assessments are computer algorithms that determine whether someone is likely to commit another crime or miss a court date. What values are these algorithms serving—and whose?